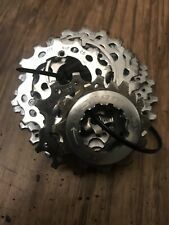 SRAM RED OG-1090 10 Speed Powerdome Cassette 11-26 168 grams SEE PHOTOS! New ListingSRAM RED OG-1090 10 Speed Powerdome Cassette 11-26 168 grams SEE PHOTOS! This page was last updated: 22-Apr 08:10. Number of bids and bid amounts may be slightly out of date. See each listing for international shipping options and costs.